Classes meet weekly unless otherwise noted. A caring group of believers who enjoy Bible study, fellowship, prayer and service. We connect and care through the study of Scripture, fellowship, prayer and service. Our study this year will be in the book of James. Encouraging each other to obedience to God’s will through Bible study, prayer and fellowship. Our study this year is Revealed: Seeing the LORD through the Imagery of Isaiah. A warm community where adults, teens and pre-teens worship, study the Bible, fellowship and serve together. This year we are discovering the truths in the book of Philippians and Colossians. We focus on expository teaching of God’s Word, prayer, outreach and mission projects, as well as class socials. 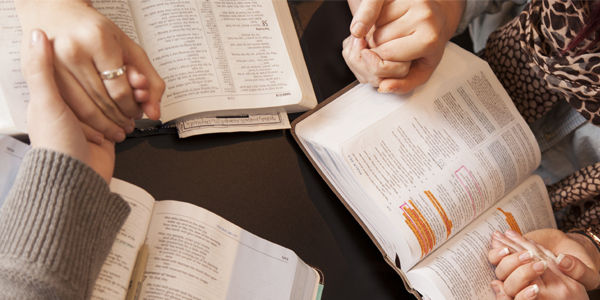 Cross-generational believers who desire to study God’s Word in-depth in an informal setting with group discussions. We also focus on praying for and encouraging one another. This year, we will be studying the book of Colossians. A class for single women of all ages and life stages that revolves around the study of God’s Word and growing together in community and life-changing transformation. This fall we will be doing a study on the women in the Bible. Join us to discuss the sermon, pray together and care for one another. Married or single, join us to be strengthened and encouraged. Biblical teaching, class interaction, mission focus, social events and outreach opportunities characterize our group. A multigenerational group of individuals and couples committed to engage more deeply with the Bible and to authentic biblical community. Journey with us through God’s Word as we live, grow, and thrive in the community of Christ. Families journeying through life together. We will be exploring our witness through studying specific examples of how Jesus initiated discussion with people. We strive to follow Jesus— moving forward as we step in faith through each new challenge and stage of life, maturing in Christ and love for one another. In these challenging times, what guidance does the Bible give us for day to day living? We are a group of singles and couples that meet to study God's Word, care for each other and have regular, run socials. We focus on studying God’s word in an inductive way through storytelling. Our topic this year is The Patriarch's. Everyone is welcome to join us. Those with STS training will be leading the discussion week to week. Stories aren’t just for children anymore! Threshold is a group of families with young children who desire to study God's word and become more like Jesus. The group meets in small groups every other week. Marriage in light of Eternity by Francis Chan is our study this year. A small group of women studying God's Word together. We are doing the Revealed: Seeing the LORD through the imagery of Isaiah study. 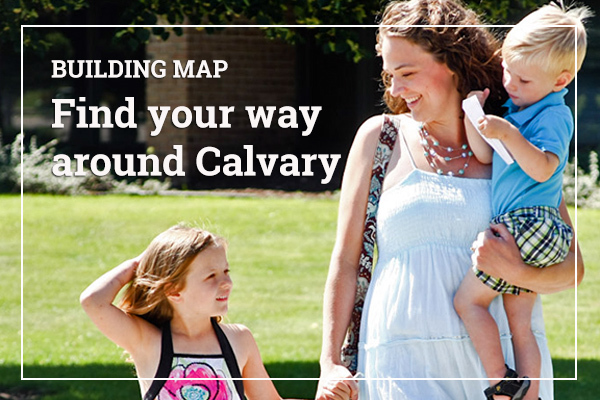 Do you want to get involved in a class at Calvary on Sunday mornings? We encourage you to visit one of our many classes. This is your chance to meet new people and get involved in the smaller community of Calvary Church. Questions? Contact Karen VanHolstyn at 956-9377, ext. 5173.